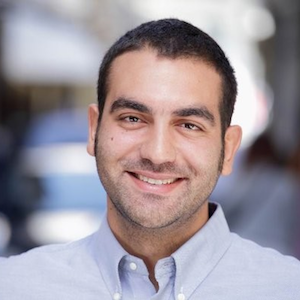 Sotiris Sideris (30) is the co-founder and managing editor of AthensLive, the first non-profit media outlet in Greece. Since June 2018 he has been working at the Network for Children’s Rights as the coordinator of the ‘Young Journalists’, a project which brings together adolescent boys and girls (aged 14-18 years old) from different nationalities in order to produce the multilingual newspaper ‘Migratory Birds’ as well as the polyphonic radio shows of ‘Radio Dandelion’. Sotiris is also a researcher and teaching assistant in the Department of Communication & Media Studies at the National and Kapodistrian University of Athens. He has worked as the producer of ERT’s documentary series titled ’28 Europe’ and as a freelance copywriter for the London-based tech start-up ‘Grip’. Sotiris holds a Bachelor’s degree in Communication & Media Studies from the Panteion University of Athens and a Master’s degree in New Media & Digital Culture from the University of Amsterdam. In 2017 he was awarded the Stavros Niarchos Foundation mass media scholarship and was selected by Columbia University to participate in the post-bac certification program ‘Lede 12’ on coding and data analysis for journalists. Silencing hate speech: censorship or civility?